Delta-Q Technologies provides power management and battery charging solutions that improve the performance and durability of electric drive vehicles and battery operated industrial equipment. 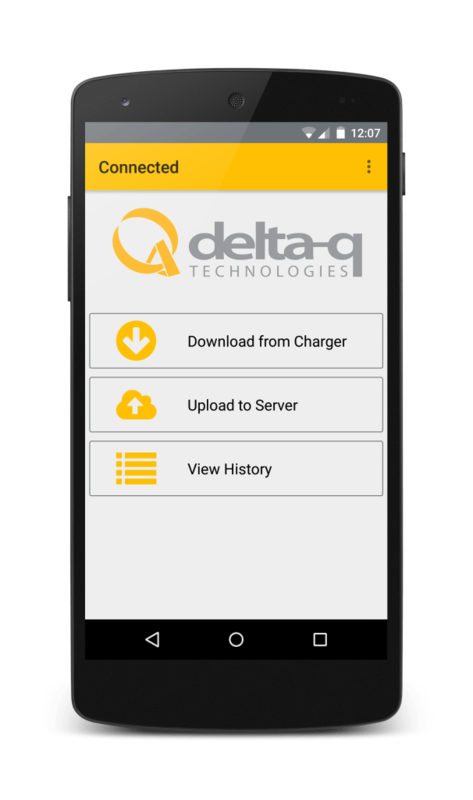 Delta-Q worked with 14 Oranges to deliver a private, Android OS based mobile application to connect via bluetooth or RFID and gather data from their intelligent battery chargers. This collected data was then transmitted to their corporate servers where they applied their propriety battery control and management algorithms, allowing their field staff in turn to make recommendations about how to best maintain and manage customer’s battery operated equipment.